Expert Quality, manufactured from chrome vanadium electric steel, oil hardened and tempered. Smoothly ground heads with cutting edges separately induction hardened to 64HRC for cutting piano and hard wires. 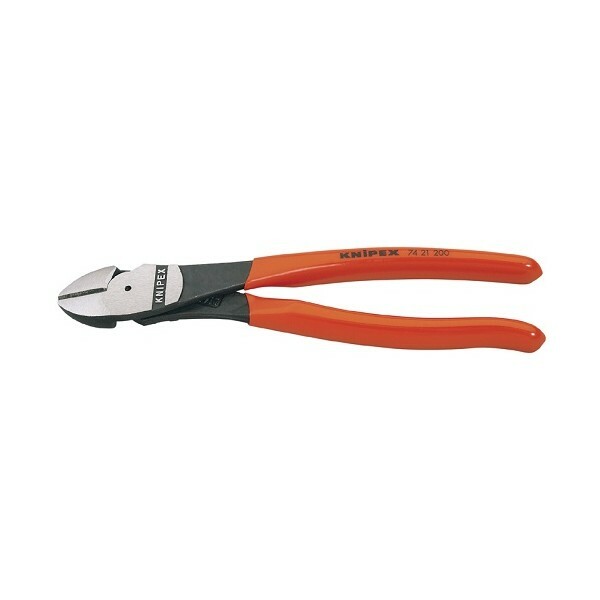 Expert Quality, manufactured from chrome vanadium electric steel, oil hardened and tempered. Smoothly ground heads with cutting edges separately induction hardened to 64HRC for cutting piano and hard wires. 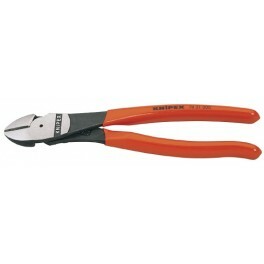 The cutter has no conventional centre rivet but a forged-on pivot which gives extra leverage. 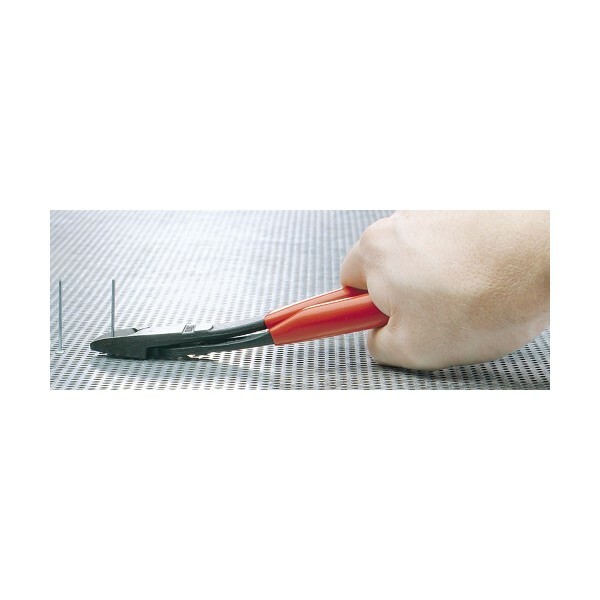 The special head angled at 12° allows wire to be cut which protrudes from flat surface. Plastic coated handles. Display packed.